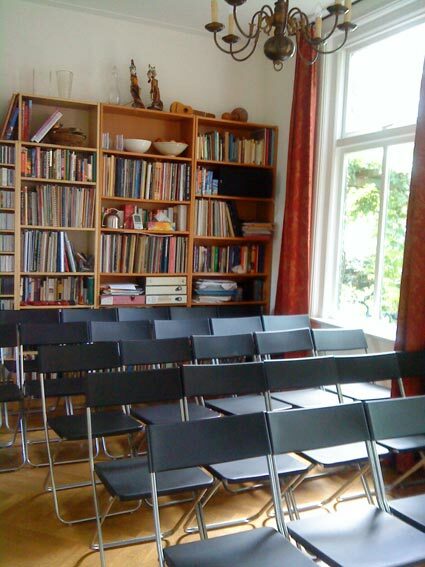 I purposefully refrained from writing about anything else in the run up to the sold-out house concert of 3rd October 2009 which we organised and hosted for classical guitarist Derek Grippers. I wanted to document what was involved in producing such a concert so that I could refer to it the next time we get the urge to host another concert in our home. 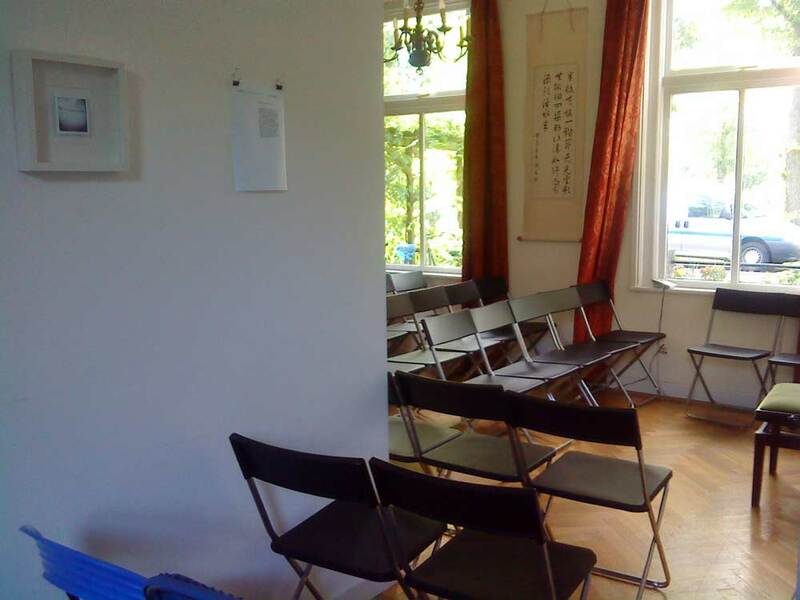 I purposefully refrained from writing about anything else in the run up to the sold-out house concert of 3rd October 2009 which we organised and hosted for classical guitarist Derek Gripper. I wanted to document what was involved in producing such a concert so that I could refer to it the next time we get the urge to host another concert in our home. As mentioned in my previous blog entry (part four), improving capacity management, revenue management, and audience development will reduce stress and anxiety before a concert. 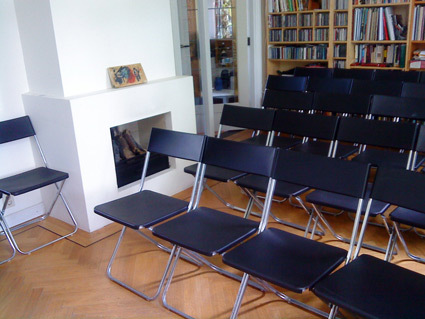 We bought and borrowed extra folding chairs and hoped for last minute cancellations and no-shows to cope with capacity management. To ensure we met our costs and contributed sufficiently for the artist, we strived for maximum booking. Earlier (in part three) I mentioned the invitation process which is critical in audience development. 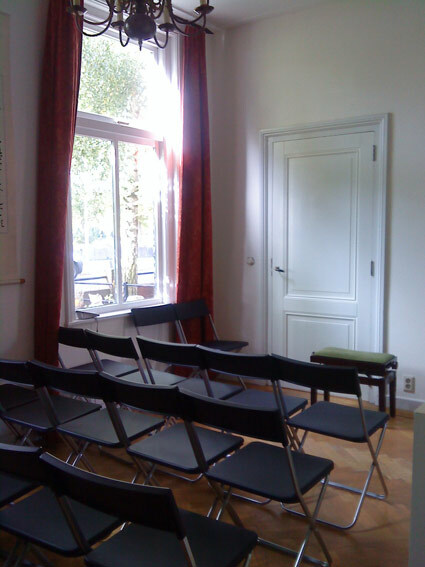 On the day after the concert, we placed the chairs row by row and discovered we could fit 50 people comfortably, all with view of the performer who would sit in the corner near the front door. I’m writing this so that next time I won’t panic when the bookings reach and surpass that magic number 50. What a relief! We couldn’t have known this before we had moved the furniture. We couldn’t have moved the furniture earlier than the day before the concert, for we live in this very house. Four people didn’t show up. I received an SMS from someone who fell ill from possible food poisoning from her husband’s cooking. The other couple had provided all the South African wines. It would have been a short, straight forward (i.e. simple) concert without the supporting acts, dinner, workshop, and masterclass beforehand. In many ways, these pre-concert events complicated the planning and logistics. Next time I would insist on a time schedule that gets followed to the minute, with plenty of breaks between each event and clarity of delineation of beginnings and ends. I was trapped in the downstairs kitchen while the guitar master class osmosed into the workshop. Alone preparing the refreshments and dinner, I sent brain waves to the three ladies trapped in the upstairs kitchen. The guests for dinner with the artist arrived on time, but the workshop continued on. So you see, hosting and producing a house concert is quite another matter. As mentioned in part one of this series, I enjoy attending house concerts. I love performing at house concerts. But I’ve yet to LOVE organising house concerts. I would dearly like to show others how to do it (hence this blog) so that they too can experience live music in their home. Many of you reading this are wondering — how did the concert go? Did people enjoy the music? What time did they leave? Did I miss anything? Should I have called on the day for last minute cancellations so that I could squeeze in? I will save that for the next blog.